Message From Chairman - China General Chamber of Commerce - U.S.A. Welcome to the official website of China General Chamber of Commerce - U.S.A.
As the world’s two largest economies, mutually beneficial trade and investment cooperation between China and the United States not only affects both countries’ future but also becomes crucial to the global landscape. Over the past three decades, the world has witnessed steady development and remarkable achievements of the China-U.S. trade. The U.S. has certainly become one of the most important destinations for Chinese investment, and its market has played a significant role in many Chinese enterprises’ global strategy. Meanwhile, Chinese enterprises help create new employment opportunities and contribute to local tax bases. CGCC strives to provide its members with a platform to promote bilateral communication and collaboration. We genuinely hope you find our website informative in terms of presenting business trends, member news, investment guidance, CGCC services and events etc. Thank you for your visit and support for CGCC, please do not hesitate to send us any questions, suggestions, feedback or comments. Mr. Ning Yuan began his career with CSCEC in 1988 and became president of China Construction America (CCA), CSCEC’s subsidiary in the Americas, in 2001. He has more than 20 years of experience in international business with significant expertise in construction and real estate. Leveraging his entrepreneurial acumen and relentless pursuit of excellence, Mr. Yuan successfully led CCA’s transformation from a small company of just 12 employees in 2000 to a highly competitive and well-recognized player in the US construction and real estate market. CCA is now the 42 nd -largest general contractor and the 10 th -largest bridge contractor in the United States and ranked the Top 25 Contractors in General Building. It is also the second-largest builder in South Florida and fourth-largest builder in New York City. Under Mr. Yuan’s leadership, CCA has completed more than 1,000 projects, many of which havegarnered prestigious awards, including the Tien-yow Jeme Civil Engineering Award, Lu Ban Award, Construction Achievement Project of the Year Award by the American Society of Civil Engineering, Project of the Year by New York State Society of Professional Engineers, Top 10 Bridges award by the Roads & Bridges Magazine, Award of Merit by ENR and the Lucy G.Moses Preservation Award. In 2014, Mr. Yuan led and completed CCA’s acquisition of Plaza Construction, which hasenhanced CCA’s building division and put the company in a stronger competitive position inthe United States. As a leader with vision, he successfully expanded CCA’s business into The Bahamas and Panama and aims to have CCA expand into other countries in the Americas. Mr. Yuan also initiated and succeeded in establishing CCA’s real estate and infrastructure investment and development platforms to serve the company’s business expansion in the Americas. With a portfolio of $1 billion, CCA has created thousands of jobs. In addition to being a successful businessman, Mr. Yuan is a keen educator. Committed to supporting initiatives that promote the delivery of quality education to youth, he travels to Harvard Business School, the Wharton School of University of Pennsylvania, Columbia University and other prestigious universities to mentor young, talented people with his inspirational experience. In 2011, Mr. Yuan assumed the office of chairman of China General Chamber of Commerce-U.S.A. During his tenure, he demonstrated his commitment to fostering business exchanges between China and the United States and having a greater impact on the economic and business cooperation between China and the United States, which contributed to his reelection in 2013. He continues to serve the chamber as vicechairman. Mr. Yuan holds a bachelor’s degree in civil engineering from Zhejiang University in China and a master’s degree in civil engineering from Leibniz Universität Hannover in Germany. He received the Asian Entrepreneur Excellence Award from the Asian American Business Development Center and the China Business Leadership Award from the US–China Policy Foundation. In addition to Mandarin Chinese, he is fluent in English, German and Russian. President of China visit to U.S. Seattle, WA. 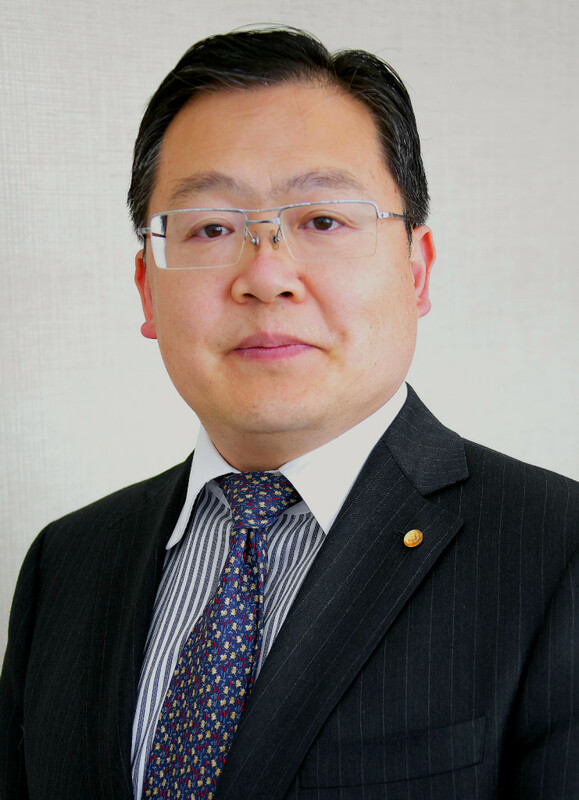 Mr. Chen Xu started his banking career at Bank of China Head Office in 1990. Since then, Mr. Xu had worked successively in various departments including Executive Office, Corporate Banking Department, and London Branch before he was promoted to the position of General Manager of Olympic Affairs Department in 2004. This Department was set up specially to supervise the Bank’s effort of offering the best banking services for the Olympics where Bank of China was the sole bank partner of the 2008 Beijing Games. In August 2008, Mr. Xu was reassigned as General Manager of Financial Institutions Department, a position he held until January 2015. 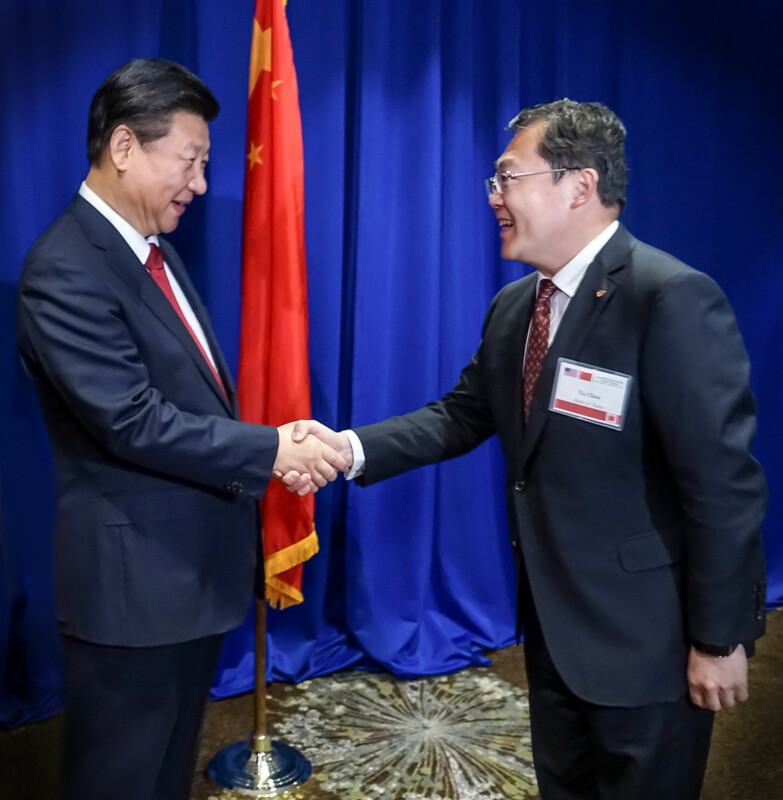 In January 2015, Mr. Xu was transferred to the United States and assumed the position of President and Chief Executive Officer of Bank of China USA. He now supervises New York Branch, Queens Branch, Los Angeles Branch, and Chicago Branch. Mr. Xu holds a Bachelor’s Degree in Management Information System from Tsinghua University, China, and a Master’s Degree from the University of International Business and Economics, China, major in Business Management. Mr. Xu, born in China, is married. He has a teenage daughter.